People like to use prize wheels because they’re a fun way to spice up events, but it may be safe to say that people wouldn’t like prize wheels half as much as they do if wasn’t for a certain game show. Wheel of Fortune is one of the longest running primetime series in history, and after over three decades on the air they’re still going on strong. People have been watching the wheel for years, but even the show’s biggest fans may not know some of these facts. 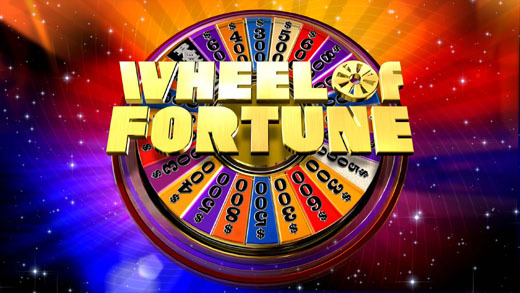 Since Wheel of Fortune made its syndication debut in 1983 the show has given out more than $200 million in cash and prizes. The luckiest contestant on the show was Michelle Loewenstein. In 2008 Lowenstein won $1 million in the show’s bonus round, and when the show was over she had earned $1,026,080 in cash and prizes. Thanks to an international broadcasting license and formatting rights, Wheel of Fortune has been locally produced in 45 territories and countries. On average over 10,000 people audition to be on the show every year, but only 600 of those who try will make it on the show. A lot of work went into the creation of what may be the world’s most recognizable prize wheels. The wheel has over 200 computerized lighting instruments that can create up to 2 million different color choices. It has 73 stainless steel pins and three hard rubber flippers that help make the wheel’s characteristic sounds. The 100 behind the scenes staff and crew workers have a lot of work to do when the show tapes in different locations. Wheel of Fortune only has one puzzle board and one wheel, and both need to be dismantled and reassembled whenever the show goes on the road. This entry was posted in Uncategorized on March 15, 2013 by spinningDesigns. Introducing a new product in your store is a pivotal time for any business. It’s important for the debuting product to garner interest, but attracting customers isn’t always easy. A quick glance isn’t likely to prompt someone to purchase, so attracting enough attention to cause shoppers to stop and examine your product is essential. A promotional prize wheel is an excellent tool for drawing attention and encouraging customer interaction. Our promotional prize wheel designs include a number of colors and features that can be used to get your message across. Graphics can be customized, and magnetic wheels are great for facilitating frequent changes. Lighted wheel designs provide extra flair for the business that is located in an upbeat environment. They are also great for tradeshows or other venues where there is a lot of competition for customers’ attention. The selection of a promotional prize wheel for special events is often associated with contests and giveaways. While this is an excellent use of the tool, there are other applications. The movement of the wheel is great for attracting interest. Use it to feature benefits of a new product or service, spinning at various points in a presentation to select the next highlight to explain. It’s also possible to use this presentation prop to point out the scope of the audience that will benefit from receiving your product as a gift. The spin to win concept is fun, and providing prospective customers with a spin on a promotional prize wheel upon completion of a purchase can elicit even more sales. Prizes may range from simple items like pens and t-shirts to luxury options, such as gift cards and vacations. Make the most of the opportunity to debut a new product successfully by engaging those who might otherwise walk away. This entry was posted in Uncategorized on March 11, 2013 by spinningDesigns. Trade shows provide an exciting environment for attracting attention and promoting products and services. With so many booths vying for the attention of the audience, it can be difficult to make your business stand apart. When drawing attendees to your space is important, how you decorate your booth can make all the difference. It’s why companies trust our game wheels to provide the light and movement that engages the masses. Many exhibitors at major trade events use simple promotional products to increase brand recognition. At the end of a show, though, a collection of pens and pencils isn’t all that impressive for bringing a company’s concept back to mind. Specific interactions, conversations and activities are more likely to make an impression, providing context for promotional mementos to provoke further action. Whether you are selling a product or promoting a service, interaction at a show can improve follow-up by those who visit your display. Using game wheels to create an interesting presentation will leave an impression and provide you with the opportunity to expound on your concept. While game wheels tend to be connected with the awarding of prizes or random selection of promotional goods, creative displayers can use the devices to produce a number of educational presentations. The concept of a pie chart is familiar, and most observers will relate to percentages that are demonstrated on a wheel. Spin to determine the next talking point in the list of benefits of a product. Demonstrate the importance of a service by using a wheel to picture relevant statistics. A spinner can be more than a prop; it can be a means for providing a strong visual example of key business points. There are several options to consider when choosing the best wheel for your needs. For example, we have a variety of lighted wheels that will provide a bit of glitz to your booth. Colorful game wheels are also great for attracting attention. No matter what wheel you choose, the content on a spinner can be customized to meet your promotional needs. Dry erase designs enable displayers to change information based on the context of the trade show. It’s important to select a model that will tastefully draw attention in a manner consistent with the crowd that will attend. Long-term use makes the purchase of a promotional spinner an excellent business investment. This entry was posted in Uncategorized on March 8, 2013 by spinningDesigns.